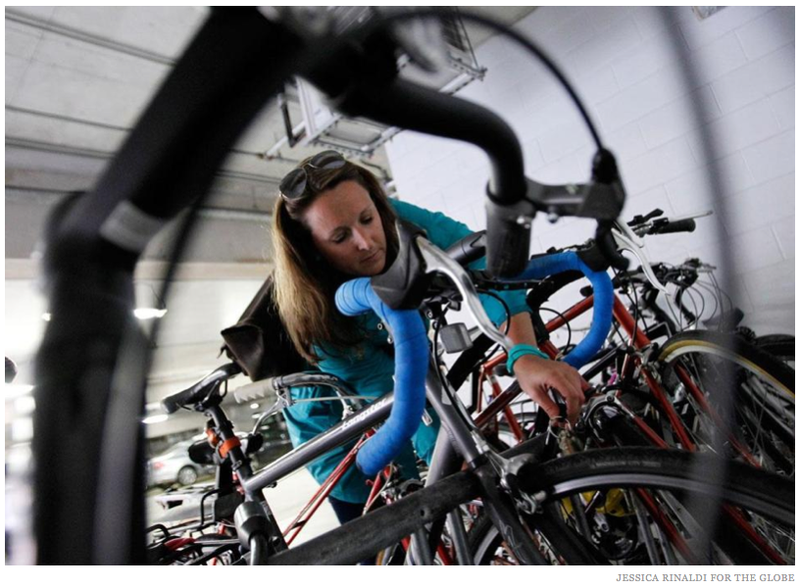 In a recent Boston Globe article, the author relates a story of how bicycling is becoming so popular in Boston, people are actually having trouble finding a parking place for their bicycles. That’s a delightful problem to have, because it’s so much easier and less expensive to solve than parking problems for cars. And bicycle parking problems don’t come with companion problems such as congestion, poor air quality and storm water runoff issues from impermeable car parking lots. This entry was tagged air quality, bicycle, Boston, Boston Globe, parking, traffic congestion. Bookmark the permalink.